ASUS have made significant inroads into the gaming monitor market thanks to its specialist Republic of Gamer brand. These premium monitors offer the top notch gaming experience for those willing to pay for the best. The MG248Q is not part of this range however it still musters up top gaming credentials thanks to a blistering 144hz refresh rate and the inclusion of AMD compatible Adaptive Sync. 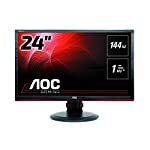 The ASUS MG248Q is a 24″ monitor utilising a TN panel for fast 1ms response times. We’re limited to 1080p here but that falls in line with the aspirations of this monitor’s target audience. You won’t be buying this if you have spent more on your graphics card than the rest of your PC, but it will pique your interest if you have a solid mid-range card that can push 144 frames per second at 1080. The MG248Q comes with a premium looking stand that offers all the adjustments you want, including 130mm of height leverage. It’s a good offering for the price, the monitor is not exactly a budget model but it isn’t premium either so it’s good to see a solid and fully functional stand supporting the screen. If you don’t want to use the stand, a standard 100mm VESA mounting is available for alternate solutions. The matt screen helps to reduce reflections and the bezel is slim enough to ensure it isn’t distracting. Monitor setup is done by a well regarded 5 way joystick positioned up top. I also like that the monitor controls can also be accessed through a Windows program called DisplayWidget. I’m not sure how that works, presumably it communicates via the monitor cable, but either way this makes life easy for switching configuration. 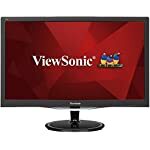 DisplayPort 1.2, HDMI 1.4 and dual-link DVI ports are all available and can provide the bandwidth needed to supply 144 frames per second at 1080p resolution. The monitor is fairly chunky which is surprising given it has an external power supply unit. This monitor comes equipped with AMD compatible FreeSync technology, you will need to have a modern card to switch this on (note that it is off be default!) but when you do you’ll be impressed by the smooth tear free imaging. The adaptive sync range on this module is also decent, it covers you from 40hz right up to 144hz so as long as your graphics card never dips too low you can be confident FreeSync has got your back. A skim over the professional review sites shows that the monitor scores well for colour accuracy and low latency. You can expect a good quality image that will respond fast to your gaming. On the downside, viewing angles are not as good as you’ll find on more expensive IPS screens. This might be a deal breaker for some but others won’t mind – just make sure you sit directly in front of the screen. It would be more of a problem in a multiple monitor setup where one or more screens are set at an angle. The fast frame rate will make your games feel smooth and responsive, especially with FreeSync running to make sure your monitor disaplys the frames as fast as it produces them. We give the ASUS MG248Q a 4.5 out of 5 rating. Want to know what existing owners of the monitor think? You can read real user reviews here. 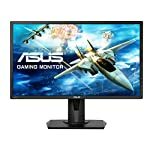 Should I buy the ASUS MG248Q? The ASUS MG248Q is well put together for gamers, you get a good quality monitor with plenty of features. 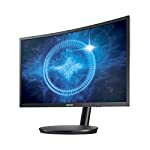 The price seems about right but some might argue you are better off pushing further for a 27" 1440p monitor, but of course that will cost even more. 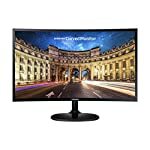 This is a great option for gamers looking for a 24" 1080p monitor however. If you are having some doubts about this purchase then why not read some real owner reviews and see what other buyers think.